Loafers by GABOR COMFORT: comfortable shoes with low wedge heel. 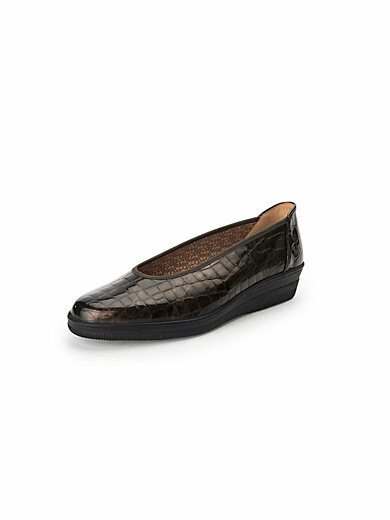 Made of cowhide patent leather with embossed crocodile motif and elasticated textile edge. Leather insole and cotton lining with leather. Rubber sole with air cushion. Heel height approx. 1.5ins. Comfort width “G”.